Brilliantly colored, with a fun pixelized effect coming from woven elastic bands that snug your shoe onto your foot. 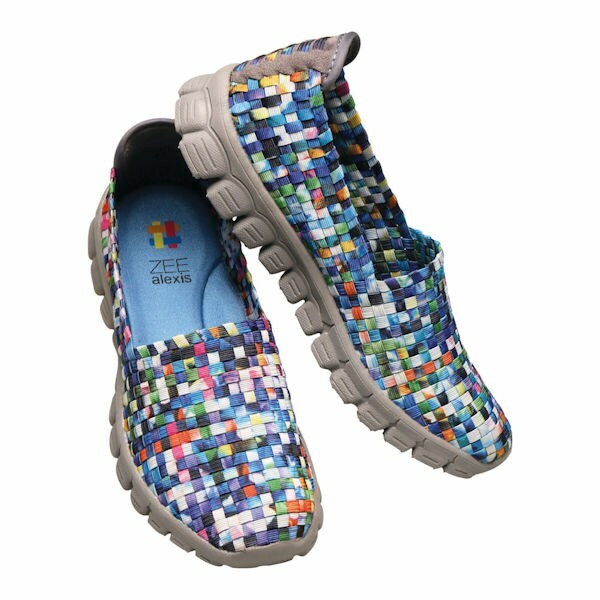 These comfortable lightweight shoes have a cushioned footbed and deep-tread, impact-absorbing soles. Washable nylon woven mesh upper. Imported. 36(5½-6), 37(6½-7), 38(7½-8), 39(8½), 40(9), 41(9½-10), 42(10½-11).